Gimex International, the specialist designer of the new concept ice bucket, the Ice bag, offers businesses customization of Ice bags for general sales points, promotional campaigns, corporate events… Thanks to our state-of-the-art technologies, we can create an ice bucket logo to match your creative ideas, themes and colours of your brand label and image. 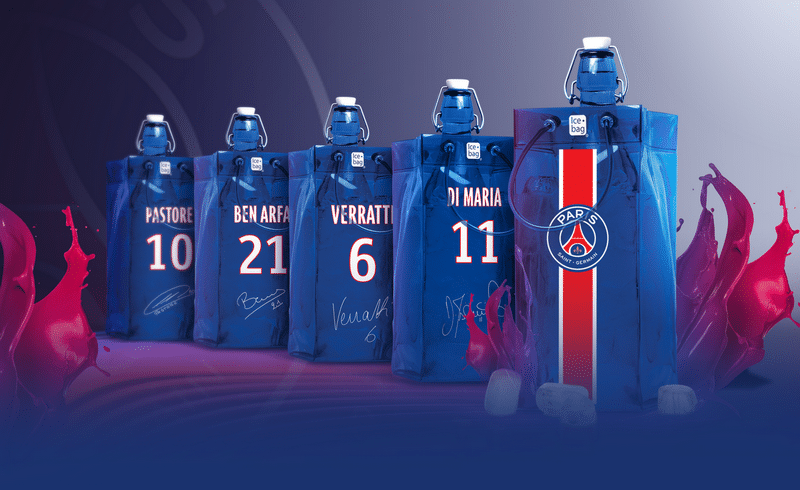 We have created 40 standard Ice bag models, a selection covering a variety of bottle dimensions, for one to four bottles, and a choice of styles: sober, elegant, trendy, luxury designs. 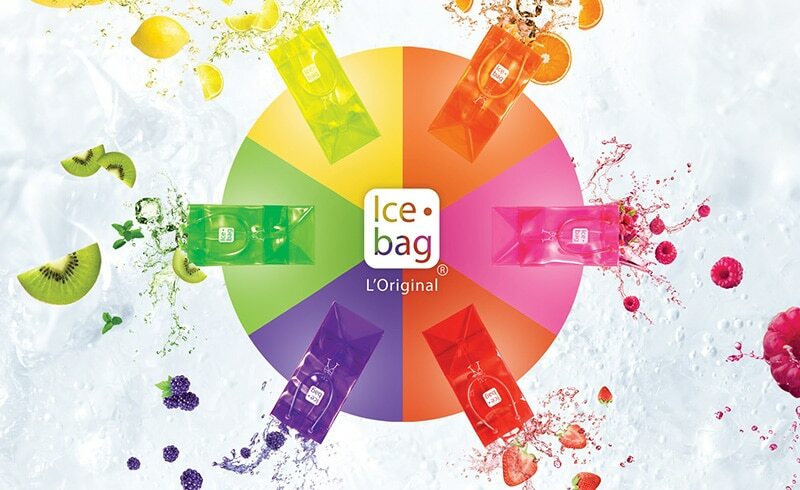 The winning qualities of the innovative ice bucket concept are lightness, flexibility and quality finish. 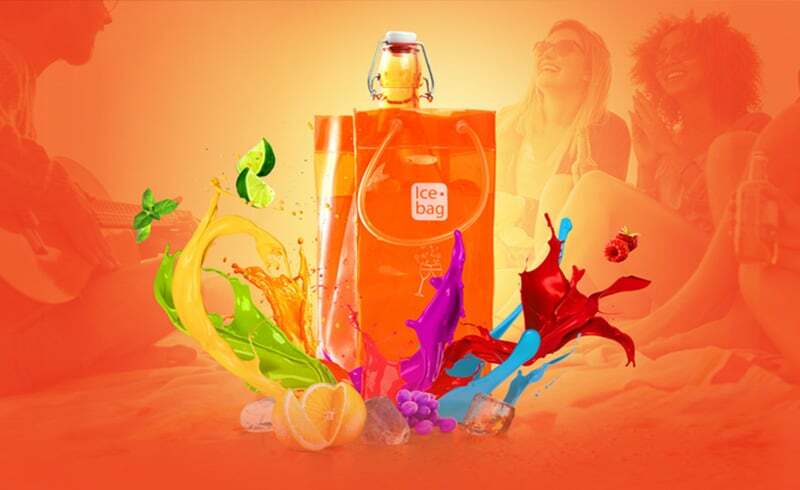 Gimex International can add your ice bucket logo to any existing Ice bag design or request a made-to-measure Ice bag, we provide a complete service from product conception through to delivery. 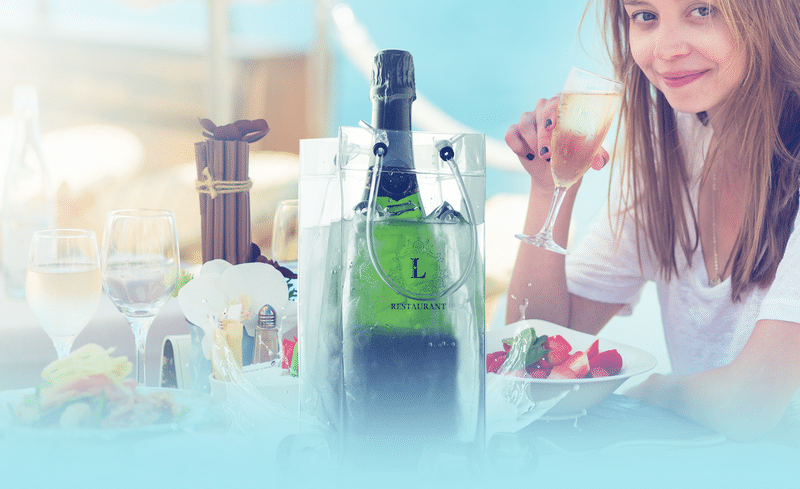 We invite you to discover the Ice bag, our innovative, convertible concept bag, ideal for wine packaging, gift packaging and quality wine and champagne cooler bucket! If you would like any further information about our professional ice bucket logo services, please contact us.